A cozy restaurant near the Fridhemsplan Tunnelbana stop, Ät Gott is regularly filled with locals and has a friendly atmosphere. 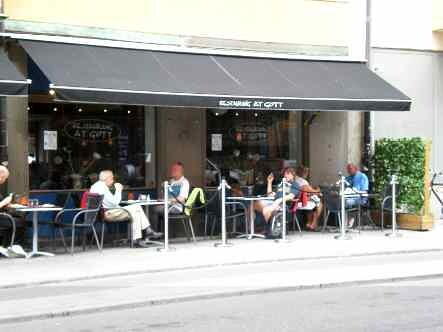 Take a seat on their street-side patio, or head inside for lunch (daily menu is 75kr), dinner, or drinks. While they shut at 22:00, its a good place to kick off a night out with friends while sharing a meal and drinks. See their website for more.